A human colony of ten astronauts could be permanently stationed on the Moon by the year 2022, say NASA scientists. They claim that the cost of sending humans to the Moon has declined considerably since the Apollo missions, and modern technology makes it much cheaper, faster and feasible to build a lunar outpost. Placing ten humans on the Moon during the Apollo missions cost a total of $25 billion, which in today’s money is about $170 billion. According to NASA scientists, the cost of sending astronauts to the Moon and setting up a Lunar base today would come to a very small fraction of that total. In fact, they say lower costs and current technologies have made it possible and highly likely that by the year 2022 we will have a permanent lunar base with ten humans living there. Chris McKay, an astrobiologist at NASA’s Ames Research Centre in California, Alexandra Hall, also from NASA’s Ames, and John Cumbers, a NASA synthetic biologist, wrote in a special edition of New Space (citation below) that to continue talking about returning to the Moon, a different way of thinking is needed. Since the Apollo missions, those wanting to have a presence in the Moon have presented their cases assuming that the only way to get a mission approved is with the blessing of the US President and its government. 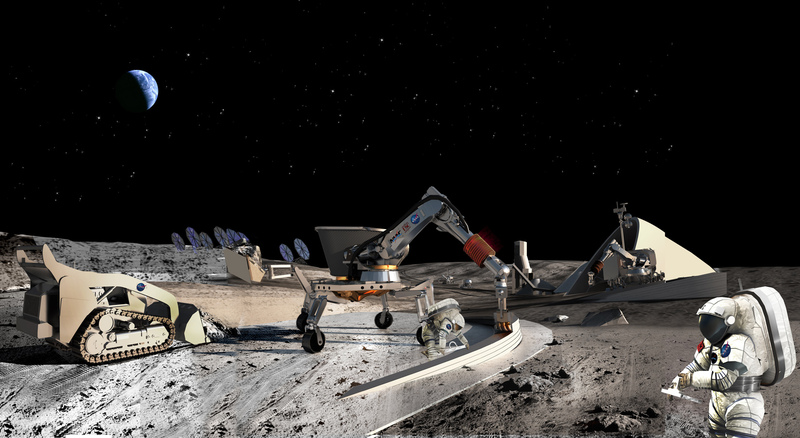 They believe costs can be pushed down even further, which would open the doors for alternative ways of getting support and funding for a lunar base project. Dr. McKay and colleagues ask us to image a small lunar base at one of the Moon’s poles operated either by NASA or an International Consortium and modeled along the US Antarctic Station at the South Pole. The ten pioneering colonists would consists of a mixture of field scientists and other staff. Personnel could be rotated about three times per year. The team’s main activity would be to support field research, which would be selected by peer-reviewed proposals. The activity would be dominated by graduate students doing fieldwork on their thesis. As is currently the case in the Antarctic, the activities at this lunar base would be focusing on science. In this way, there would be an official US Government presence on our Moon. The motivation for such a base, as with the Antarctic bases, would be rooted in US national policy. A base on the Moon would provide several technologies and programmatic precedents which could support a long-term NASA research base on Mars. The authors say that such a lunar base could be well within NASA’s existing deep space human spaceflight budget of $3 to $4 billion annually. Such a relatively low cost would make the proposition an easy sell, which would receive no opposition from other sections of the space community that are focused on different destinations. By bringing down the cost of a Moon mission, the possibility of private and commercial endeavors starts to emerge. When a short stay on the Moon for one person falls into the tens of millions of dollars, it taps into the private spaceflight market. Over the past ten years, several major changes have occurred that affect space exploration in a positive way. Since NASA adopted new mechanisms for buying services, the cost of launching spacecraft from Earth has declined dramatically, while load capacity has increased. Since the beginning of this century, the emergency of NewSpace industry has pushed technology forward much more rapidly. These advances in non-space technology have reduced the cost of projects in space. Examples of such technologies include artificial intelligence and control systems, 3-dimensional printing, small electronics, computers, robotics, and synthetic biology. The International Space Station collaboration has helped us gain a better understanding of how humans cope in space for long periods, long-term life support technology, operations in microgravity, and other technologies required for long-term space missions. Several countries today are interested in the Moon, giving us great collaboration opportunities. The authors say that the technology for life support developed at the International Space Station can be used with just a bit more development to support a 10-person team on the Moon. In January 2016, Jan Woerner, head of the European Space Agency, announced a ‘crazy’ Moon Village project, which he says should succeed the International Space Station mission, which will be shut down in 2024. 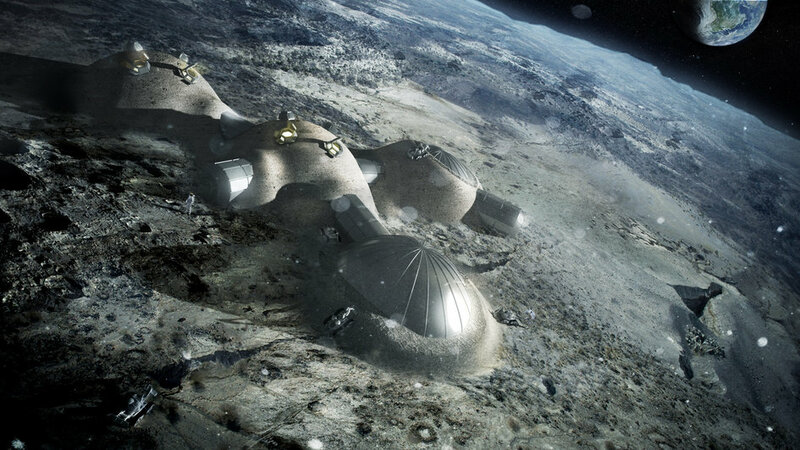 Prof. Woerner says we should build a Moon Village, which would be constructed by 3-D printers and robots using moon rocks and dust as raw materials. Citation: “Toward a Low-Cost Lunar Settlement: Preface to the New Space Special Articles,” Hall Alexandra, McKay Chris, and Cumbers John. New Space. 10 March 2016. DOI: 10.1089/space.2015.0039. 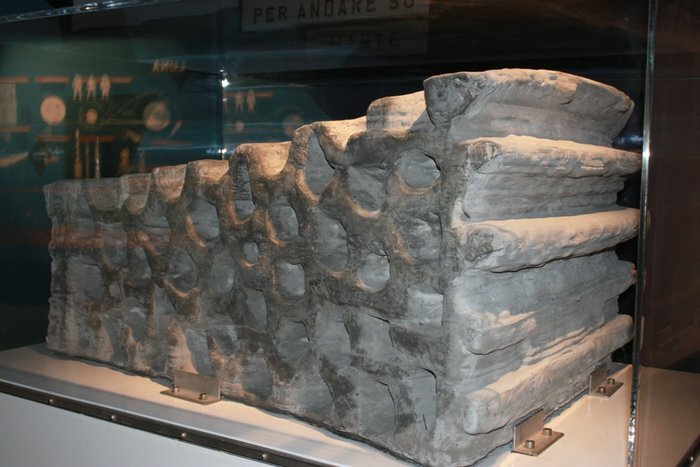 Astronauts could one day be printing rather than building a base on the Moon.